We need airplay to help promote our single and album release! Radio presenters, producers and stations may review and download our music FREE via AirPlayDirect or RadioSubmit (free registration and call sign required to download) or by using the Contact Form to request an audio CD (call sign and website link required). Never miss a show airing our music again! CHECK OUT THE RADIO SHOW SCHEDULER! This section includes links to lovely blues and blues friendly radio presenters, programs and stations who are including our songs in their shows in the next month or who have added tracks to their permanent airplay rotation ....we feel this deserves our support, especially as many of them are small independent programs, speciality shows, or community/college/university run stations...... so go check them out, show your support and encourage them to play our tracks.... can you hear us purring? (Note that most terrestial radio stations also stream the shows in real time via their website so you can listen in from practically anywhere in the world!). Thanks to the following blues radio shows and stations that are airing music from our tracks and apologies for the lack of updates to this page but as some of you know, I have been ill and now trying to catch up with things. Specific live shows include airplay date. Shows are listed in airplay date order. Please support the shows by listening in or downloading the podcasts. 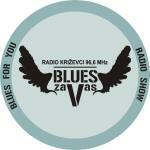 Living Room Blues broadcasting from Europe via KCOnline Radio with host John Van Lent spinning an eclectic selection of blues from around the world every Thursday from 7pm GMT. Radio Logan 101FM broadcasting from Australia the station airs a luscious mix of musical styles plus national and local news bulletins from 101FM, the Voice of South East Queensland. Argyll FM broadcasting from Campbelltown, Scotland, UK the station airs a variety of specialist shows ranging from Farming to music for all on 106.5, 107.1 & 107.7 FM to the West Coast of Scotland. KC Radio Europa online radio station Blues Lovers Many thanks to DJ Pippo based in Belgium who regularly spins blues, funk and soul music for downloading our tracks for airplay consideration. His next show airs on Friday 20th June starting at 10pm (CEST) 9pm (GMT). Lady Plays The Blues is no longer on Stroud FM, which used to broadcast from Stroud, Gloucestershire every Friday from 8-10pm GMT repeated on Sunday at 1pm - 3pm GMT and Tuesday 0 am - 2 am. Hosted by Marion Miller who played a range of great blues plus featured artists including some of our tracks. Although Stroud FM has closed it's doors, the show is still available on Mixcloud. Thanks Marion! 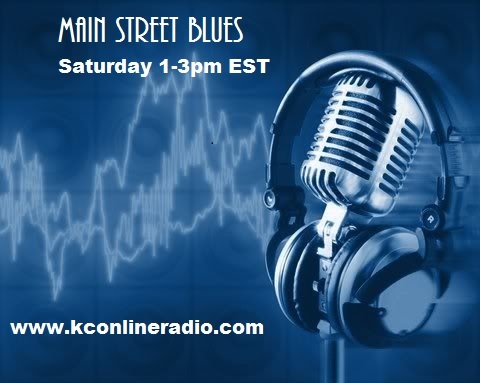 Main Street Blues hosted by Kevin Hardy whose popular show includes a wealth of everything from new unsigned straight out of the back alley to in your face established blues every Saturday from 1-3pm EST (6-8pm GMT) repeated on Monday 1-5pm (CT) / 7-11pm (GMT) , Wednesday 4 July 6-10pm (CT) / midnight-4am Thur (GMT), Thursday 5 July 6am-10am (CT) / noon-4pm (GMT) on KCOR Thanks Kevin! Drivin' Home With The Blues & Jukebox on Cairns FM 89.1 broadcasting from Manunda, Cairns, Queensland, (QLD), Australia with presenter Irene Barrett who has worked at 2BOB radio in Taree, NSW as a presenter of several programs and as a Copywriter/Producer for Win TV in Cairns, Copywriter/Producer and Reporter for the 7 Network in Townsville, and seven years as Guest Co-ordinator and Entertainment Producer for Network 10���s ���Good Morning Australia��� in the late 80���s. Irene spins a catilicious selection of Rock and Blues twice a week on her popular shows. Jukebox airs every Tuesday from 9am - Noon EST / 7pm-10pm GMT and Drivin' Home With The Blues airs every Friday from 4-6pm EST / Sat 2am-4am GMT. Thanks Irene for including us in your show this week! Check out the radio station shows supporting the British Forces with shows broadcast on various FM frequencies and available online... send a message to your loved one in the military! Texas Online Radio This new station ran a live test show last week and host Jeff included the track Built For Comfort from our album which is now available in a podcast along with songs from Annie Moscow, Bari Leigh, Lacy Brown and Samantha Ray http://www.texasonlineradio.com/2011/11/texas-online-radio-live-broadcast.html. Thanks Jeff! Breakfast With The Blues on KRVM Radio 91.9 / 88.5 / 92.1 / 90.1 108 mg FM based in Eugene, OREGON, USA from 5.30 - 8am PST (1.30 - 4pm GMT) weekdays with various DJ's and on Saturday and Sunday mornings from 5.30-9am PST (1.30 - 5pm GMT) hosted by Brad "the Broken Down Old Man" and Boogie King Steve but our favourite who is sadly no longer on the air is the lovely Bluesletter Kim who aired several tracks from our album during her time at the station on the Woman in Blues show and the Breakfast With The Blues show on Fridays. Thanks Kim! 14.00 - 15.00 pm CST (20.00 - 21.00 pm GMT) every Tuesday. 22.00 - 23.00 pm CST (16.00 - 17.00 am GMT) every Friday (Saturday UK time). Note that repeat airtimes are subject to change without notice, check their schedule for updates. HardCoreRemix Radio , are now airing two tracks from the CD including the single Lotus Elise Blues ... read the exclusive interview with RoXi & the Blue Cats and Review by HardCoreRemix on their blog .... VOTE for us at the site!! IM Radio online radio station playing unsigned artists of all genres - check out some of our tracks! Jango online radio station playing new and established artists/bands has placed our single Lotus Elise Blues on their regular playlist rotation and they occassionally air the album teaser single. Artists and bands, get your music broadcast - register with Jango Now! Last FM have included the single Lotus Elise Blues. The Lunchtime Album Show on Justin.tv broadcasting from Middleburg, Florida, USA. This monthly video music show is hosted by Mikey Blue Eyes who plays a selection of his favourite blues and popular music live on Sunday Mornings with shows staying online for folks to watch and listen. Packed from bow to stern with blues, host Dave Raven broadcasts from his boat 12pm every Saturday on the coasts of Spain on Talk Radio Europe FM with a repeat at 10pm on Tuesday. Kansas City Online Radio - KCOR transmits the show at 1pm Central (6pm GMT) every Sunday with repeats through the week plus online podcast at the site. Thanks Dave for including us in your show on 31 March 2012! The following are radio programs and shows who have downloaded our album tracks or requested a CD for airplay consideration. Thanks! They may already have broadcast our music but have not informed us of airplay date or do not provide an online playlist that we may check. These listings are now in alphabetical order. Alice's Restaurant Rock Radio the original and best rock radio station in the UK home on the internet. DJ Bear spins album tracks from his favourite artists during short term and test transmissions, so is not currently available as a stream. 95.3 KVHU The Voice of Harding University, Harding University, Searcy, Arkansas, USA is the first commercial FM radio station to download RoXi and the Blue Cats album tracks for broadcast consideration ... special thanks for that! The station plays a selection of acappella christian music and classic hits from the 1940s to today including BRITBEAT with Johnny Harrison on Fridays 5pm-6pm / Saturdays 10pm-11pm packed with artists associated with the British Music Invasion of the 1960s plus classic radio shows which are broadcast across Central Arkansas, USA and online. Blues Show on BishopFM 105.9 FM based in Bishop Auckland, South West Durham, UK with host Gary Grainger broadcasts on Sunday 6-8pm GMT and repeated on Kansas City Online Mon. 6-8pm Central Time. Gary mixes it up with a great selection of old and new, local, national and international blues. View past playlists plus news and chat on his blog Thumbrella - Words To A Void. 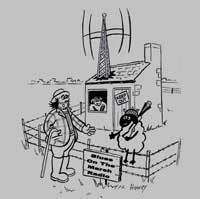 Blues Session broadcasts every Saturday from 7-9pm GMT on Radio Wey based in Chertsey, Surrey UK. This National Award Winning blues show hosted by Martin Clarke includes live music most nights plus a delectible selection of new and established blues artists. Driftless Community Radio on WDRT 91.9 FM based in Viroqua, Wisconsin, USA broadcasts a range of music including dedicated blues shows Blue Monday 7-9pm CST (3-5am GMT) with Papa Blues & Blues Hound in rotation followed by The Hodegpodge Lodge with Madge and Rodge, plus HerSong, a history of women in music on Wednesday 10am-noon with Allegra Wakest. El Corral��n del Blues broadcasts on Radio Granollers 107.6 based in Barcelona, Spain with host Jos�� Luis Palma who explores the blues from past to present with interviews and blues music from Spanish and Worldwide artists on his weekly Tuesday podcast show. Full House Radio Hour on Dublin City 103.2 FM broadcasting from Dublin, Ireland with presenter Noel Casey playing a crackin' good hour packed with blues, country, folk and roots music on Thursdays from 2-3pm GMT. GTFM Blues Show 107.9 FM broadcasting from Pontypridd, Wales - join Bob Williams & Norm Griffiths every Monday night from 8-10pm for this established blues extraveganza followed by the New Music Showcase from 10pm-midnight with Adam, Lee and friends! HotMix106.com (Online Internet) based in Sacramento, CA USA includes several superb dedicated blues shows throughout the week including: Blues Warehouse with Mark Klein on Sunday 17:00 - 19:00 pm EDT and Wed 16:00 - 18:00 pm EDT and One on One host David Mobley highlights new unsigned singer/songwriters on weekdays from 1am EDT. HoundDog Radio based in Loganville, GA, USA is an internet radio station that plays a mix of country, bluegrass, southern rock, blues, and jazz. Kansas City Online Radio based in Kansas, USA is a dedicated internet blues radio station that broadcasts and syndicates a wealth of excellent blues shows hosted by DJ's with eclectic tastes in the blues genre. Presenters with syndicated programs who have aired our music on their show are listed independently on this page. KQLN 91.3 FM based in Alamo, NV, USA have included tracks from our album on their playlist! Tune in or listen online for an eclectic mix of music, chat and local information. KRUU 100.1 FM broadcasting from Fairfield, IA, USA airs a wide selection of programs ranging from music to health issues. There are two shows dedicated to blues : Blues KRUUz with host Joel Dilley on Thursday 2-3am and Saturday 7-8pm and Blues Oasis	with host MR T (Roy Tonnessen) on Thursday 9-10pm and Saturday 4-5am plus various shows include blues music. Planet Earth Records/Studio Sessions Live based in Los Angeles, USA an internet radio station also broadcasting on iPhone and other 3G/4G enabled Mobile Phones. The station plays a wide range of genres from unsigned and original artists with Live Sessions on Fridays 9pm-11pm PST and Saturday 8:00pm-12pm PST. Radio 98eins (98.1 FM), Greifswald, Germany broadcasting a range of music including Saitensprung live show with unplugged music from new, unsigned and established artists every second Friday 20:00-21:00, repeated Tuesday 18:00 pm and the delectable Crossroads Cafe show which is packed with 2 hours of Blues, Soul and Swing airing twice a month on Tuesdays from 20:00 pm - 22:00 pm. Radio Ear Network is an online radio station based in Florida, USA that streams across the world. The programming is varied with a wide range of genres plus established, new and unsigned artists. European programs run from 5am - 12 Noon CET (4 - 11 am BST) whilst US programs run from 8am to midnight. Smokestack Lightnin' on [WUCF] (89.9 FM) based in Maitland, Orlando, FL United States plays an eclectic selection of the best New Blues and newly reissued classic blues, blues rock, zydeco blues and gospel with hosts Paul Newnum, Tommy Thompson, Marvin Rooks and Rob McKinney. Star Blues on Star 107.9/1 FM broadcasting from Cambridge, UK, includes a great blues show on Sunday night from 10pm - midnight with host Gary Blue who also writes and reviews for a number of blues publications. Terre Marine FM (94.8 FM), based in Sainte Soulle, France has an eclectic range of programmes including music of all genres. TRT Radio 3 (88.20 FM) Turkish Radio and Television Corporation based in Istanbul, Turkey. is the equivalent of our UK BBC - we are honoured that the station which plays a range of music from classical to modern music have downloaded our tracks for airplay consideration! No idea which show the tracks will be broadcast on as there are SEVEN presenters who have downloaded our songs, but the station includes Blues 'un Tonlari = Shades of Blues show offers outstanding examples of blues, famous artists and communities, promotes, Blues, Rock Blues, Country Blues, Folk Blues every Tuesday from 10pm (turkish time) and Mavi Nota = Blue Note with Cengiz Isilay on Saturday evening from 23:00 (turkish time). Broadcasts also available via satellite and internet TRT Radyo 3 radio station link via google translate. WACC based in Atlantic Cape Community College, New Jersey, USA has a diverse musical program including regular blues shows on Sundays 2-4pm EDT (7-9pm GMT) and Mondays noon-1pm EDT (5-6pm GMT). WAER 88.3 FM based at Syracuse Univ, Syracuse, NY, USA broadcasting a diverse range Jazz, Blues, Folk and Alernative music from unsigned and established artists. They requested a CD which is winging it's way to them now and will hopefully be on air soon! WDBX 91.1 FM based in Carbondale, Illinois, USA this community radio station includes a variety of music including hot blues with DJ Will Stephens featuring both local and national blues artists on The Electric Blues Hours from 6-8pm CST every Sunday plus House Rockin' Blues with King Snake on Fridays from 8-10pm CST every Friday. WMFO-FM 91.5 FM based in Medford, MA USA plays a wide range of music including artists you may otherwise miss. WPKN 89.5 FM based in Bridgeport, CT, USA broadcasts a wide variety of music and talk shows including dedicated blues shows presented by Ali Bell, Bill Nolan and Bob Shapiro plus various DJ's playing a mix of americana, roots, blues, jazz, pop, classical, latin, folk music throughout the week. WRFG [Atla] (89.3 FM) based in Atlanta, GA US is a community station with a variety of shows broadcasting an eclectic range of music including Good Morning Blues on weekday mornings from 6-10 am EDT (11am - 3pm GMT). This section includes links to shows and stations who we have not yet contacted or who are not airing our songs...why not give them some encouragement by visiting their sites and requesting our tracks! The iconic and most respected blues orientated shows on the BBC that every blues band worth their salt would love to be featured on Jools Holland and Paul Jones Show .... hey guys, give us a spin!! The following radio shows and stations are no longer on air, but the Radio Hosts who ran them deserve a mention for their hard work at promoting the blues and the support they gave us and many other independent Blues Musicians by playing our music. Charlietown Blues was an online streaming listener supported station that broadcasts nothing but blues 24/7! Various shows and presenters spin a mixture of tracks from their own collection and the stations constantly growing playlist, on which we are thrilled to be included! Thanks Todd! One of our favourite shows The Blues Train aired on Fridays at 10:00 am CT / 3pm GMT and Tuesdays at 1:00 pm CT / 6pm GMT but sadly the station has closed down. 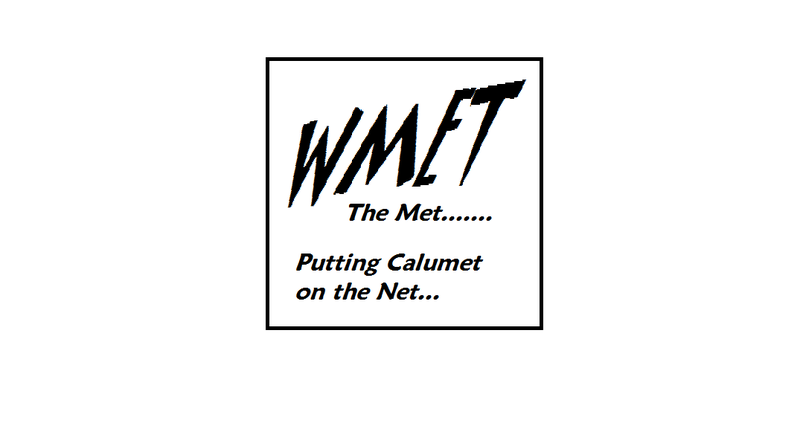 Used to broadcast live on Wmet TheMet, Calumet, Michigan. Host Shotgun John is also a fine drummer who has been around music all his life and rocks it out with an eclectic mix of blues and blues based music every Saturday from 3-6pm EST / 8-11pm GMT ... The show no longer airs and station has closed but Thanks John for including tracks on the 21 Jan 2012 and 23 June 2012! Lady Plays The Blues on Stroud FM is no longer broadcasting from Stroud, Gloucestershire but host Marion Miller still uses Mixcloud to play a range of great blues plus featured artists (see earlier listing). Nothin' But The Blues on TopBlues is a 24/7 internet station hosted on Live365 which has been offline for awhile. DJ Terry O' based in Tucson, Arizona USA spins a spine tingling selection of sizzeling hot electric blues and smokin' Chicago blues. Terry was the second DJ to download several tracks from the album for broadcast consideration ... Respect & Thanks to Terry O!!! Used to broadcast live from Wmet TheMet, Calumet, Michigan, USA. Author, karaoke enthusiast and DJ Rich the Radio Buck mixed it up every weekday and sunday morning from 2pm-5pm (GMT) / 9am - noon EST playing 60's, 70's, 80's and beyond ... Thanks Rich for including our tracks! Women In Blues - NO LONGER AIRING with Bluesletter Kim with her very own show on KRVM Radio 91.9 / 88.5 / 92.1 / 90.1 108 mg FM based in Eugene, OREGON, USA. One of our favourite DJ's has a prime slot on Saturdays from 7-9pm PST (3-5am GMT). Tune in or listen online to her new show to hear some great music including one of our tracks!! Awesome first show Kim and thank you SOOO MUCH for airing THREE of our songs including the EXCLUSIVE new track Bad Bad Girl and our christmas song Cuddle Up Santa!! You're CATILICIOUS! Sadly Kim's temporary Saturday slot has ended BUT you can now find her on Friday morning's Breakfast with the Blues!